This is a simple top down cami. Worked entirely in the round, the bodice shaping is achieved with short rows and additional optional bust shaping is provided. I created this pattern while camping, I tried it with a cheap washable yarn and it smelled greatly of campfire camp smoke. The pattern worked so well that I created it in a worthy yarn: Hempathy. 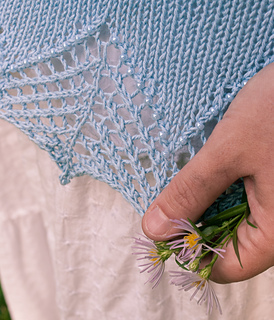 This yarn is a wonderful light spring and summer yarn with fantastic drape. 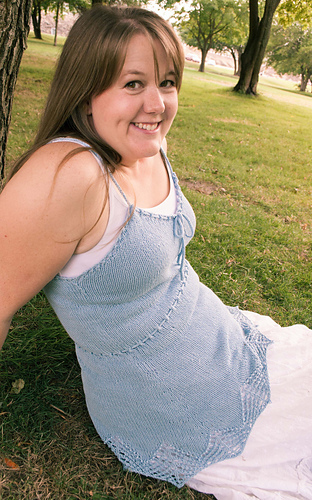 The yarn and pattern work together to create a flattering cami for all sizes.